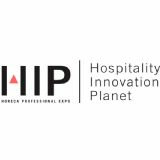 HIP (Hospitality Innovation Planet) will become the neuralgic center of innovation for the HORECA sector. Innovation, trends, products and solutions specific to each of the industry segments and, at the same time, a program for each assistant profile. A unique opportunity to retain customers, generate other potentials and a space to identify the partners that can help you boost your business.